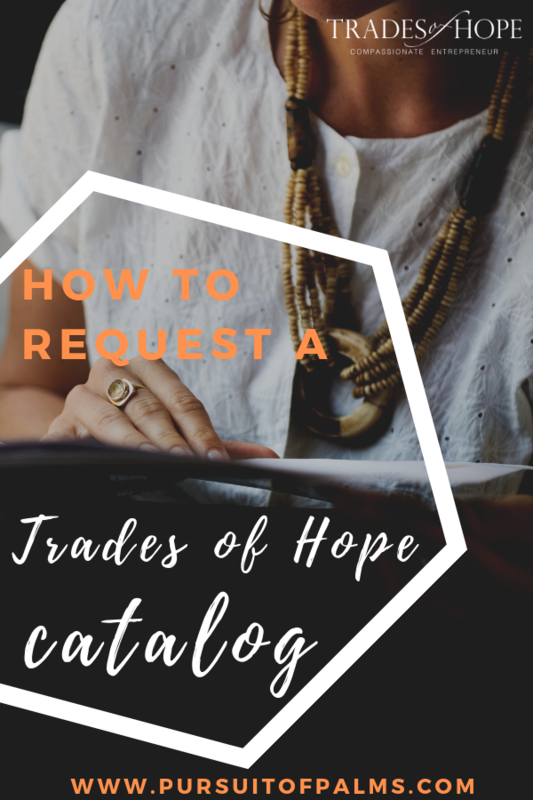 Request a Trades of Hope Catalog! Do you love flipping through catalogs and magazines? I certainly do! It’s a nice break from the mindless scrolling through social media and the thousand other things I need to get done during the day. 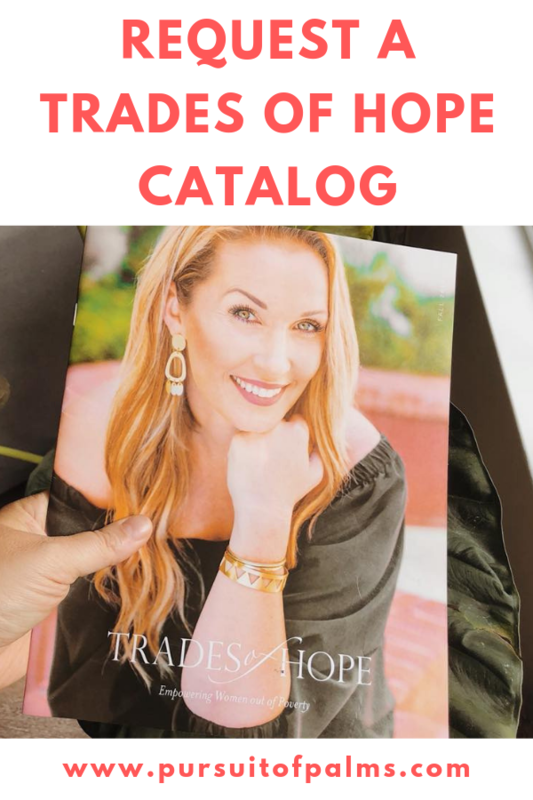 As an Trades of Hope Compassionate Entrepreneur, I love the new catalogs that are released and I am looking forward to sharing the most recent catalog with you! One of my favorite things about the catalog is the STORY it tells. 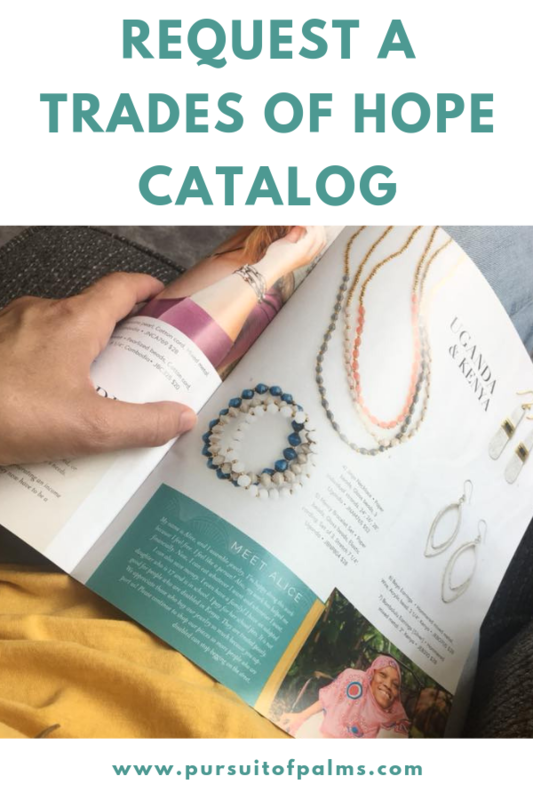 Every catalog is filled with artisan stories, Compassionate Entrepreneur testimonies, and its all organized very well! You can see each of the products, where they were made, and you might even get to see the artisan who made the pieces you have your eye on! It’s truly a work of art, and I love discovering new things I love about it every time I flip through it! I was looking for a way to impact the world with my purchases, and know that I was truly making a lasting impact with every dollar I spent! Then, I discovered Trades of Hope! Now I can make purchases and reach goals by working my business that give back to families all over the world! Plus, it’s a business I can do from anywhere and not sacrifice time with my husband, and I can travel whenever I want! REQUEST A DIGITAL CATALOG by emailing or FB messaging me! REQUEST A PAPER CATALOG by emailing me at tawnyandluke@pursuitofpalms.com or FB messaging me! FACEBOOK – Come hang out in my Trades of Hope Tribe for games, freebies, shopping and fun! 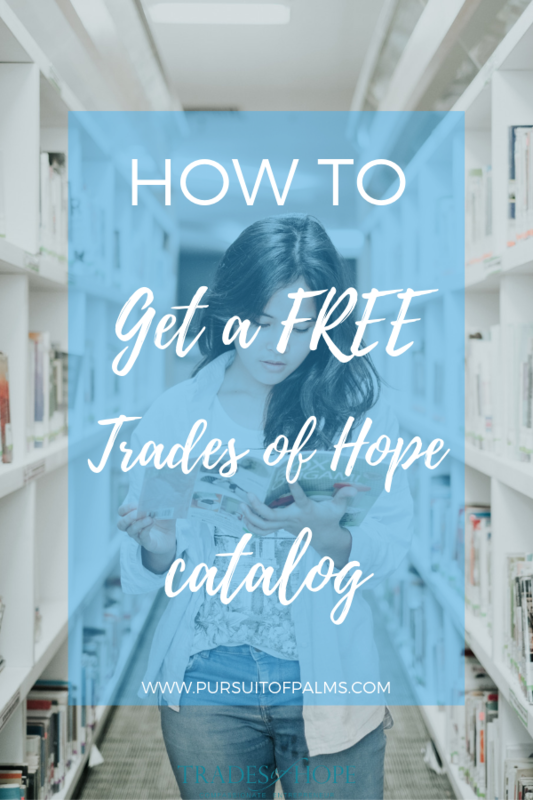 Curious about joining my Trades of Hope team? Send me a FB message or email me at tawnyandluke@pursuitofpalms.com You can also check out my blog post about joining Trades of Hope! ← Trades of Hope Hostess Rewards: FREE Fair Trade Goodies!